Ask any kid what he or she wants to be for Halloween and there's a good chance he or she will say "something from Frozen." Disney Frozen is the mind-bogglingly popular cartoon and it's taking highest honors for Top 10 Halloween costumes for 2014--kids and adults! Frozen is a popular birthday party theme too. Why not use the Frozen theme for Halloween or winter holidays? Here are free printable Disney Frozen crafts and games for parties. * Hale Grafyx has a free printable Pin the Nose on Olaf the Snowman game. Print on card stock or enlarge and attach to cardboard. Perfect for a Frozen-inspired birthday or Winter Solstice party. * Check Mom Endeavors for links to free printable Disney Frozen games and activities. Print Princess Elsa crown and Sven the reindeer antlers for a Frozen Halloween costume. * Strawberry Mommycakes has free Frozen party printables with Olaf the Snowman mask and other games and crafts. * Disney Family has free printable Frozen games and puzzles. Here's a Princess Elsa 3D paper doll to print. And next print a Princess Anna paper doll. * The Clever Pink Pirate offers a free printable Frozen bingo game and this site has cut, paste and color Olaf the snowman game dice to print. 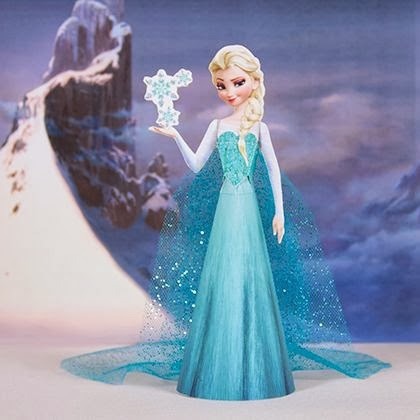 Check these sites for free printable Frozen party games and prizes: bookmarks, door hangers, decorations and Valentines.